We believe in treating every employee with respect. Every employee within our organization is important to us and plays a vital role in the success of our company. Our team begins from our receptionist, to the dispatcher, to the operator of equipment and administrators. Every person’s role with Elite is essential to delivering high quality service to all of our clients. We believe the “Elite Team” are the people who pave our way for success. The Vacuum/Steam & Fluid Hauling industry can be challenging at times, but with the promotion of a supportive work environment, our employees are encouraged to pursue each job in a professional and comprehensive manner. Instilling a thorough driving and safety program, which prepares all operators to provide excellent service. Accessing well maintained, clean, and state-of-the-art equipment. Communicating with and supporting our employees on each job site, from the time they are dispatched to the job completion. With a great work environment and well-cared for staff, we are confident that our “Elite Team” can provide you with the best service in the field. In May 2010, Elite Waste Disposal began its journey in the Rental Business by supplying and delivering Portable Toilets and Wash Cars. As the company grew, so did its repertoire. In just a few years, “Elite Waste Disposal” then diversified to “Elite Vac & Steam” which entailed a Fluid Division, such as Tank Trucks, Vacuum Trucks, Hydro-Vacs, Semi-Vacs and Steamers. 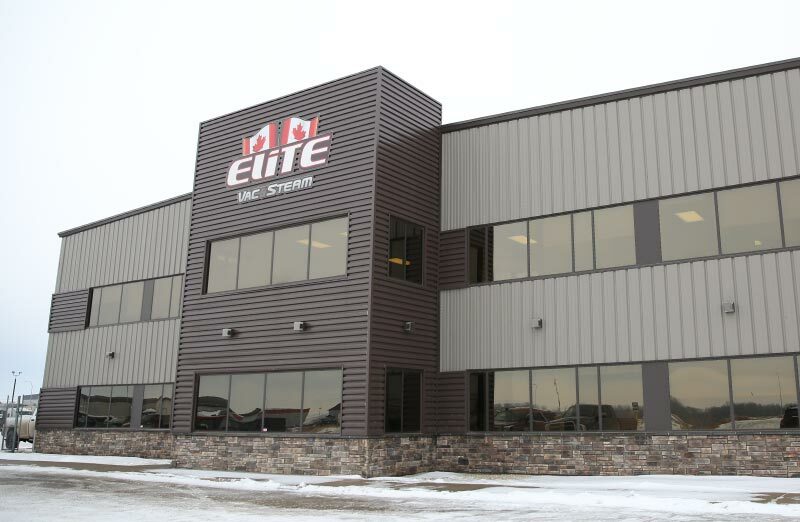 “Elite Vac & Steam” continues to offer competitive oilfield vacuum and steam services with a growing fleet of equipment. Though “Elite Vac & Steam” is less than 10 years old, our team is composed of some of the most seasoned management in the field. Each of our members has at least 20 years of experience in the industry and have together become a great team.